Looking for delicious pasta that reminds you of Italy? Here are some of our favorite dishes around town. Pasta. You can twirl it, jab it, and fill it. From saucy and savory, to delicately seasoned, you can make it any way you want when you're at home. But where in Boston are you going to find the most authentic dishes when you're craving the 'real deal,' but hoping to skip the crowds in the North End? The restaurants below, ranging in location from the Seaport area all the way out to Newton, will be sure to satisfy your pasta craving. SRV’s pasta is made from fresh milled flour which is milled daily in the basement, the grains are sourced locally from Four Star Farms in Northfield, MA. The dishes change with the seasons. On the menu right now is one of SRV’s popular dishes: bauletti, a variation of ravioli, served with taleggio, prosciutto cotto, and black truffles. The fusi istriani, a form of venetian triangled shaped pasta, is served with braised beef, parsnip, and harissa. 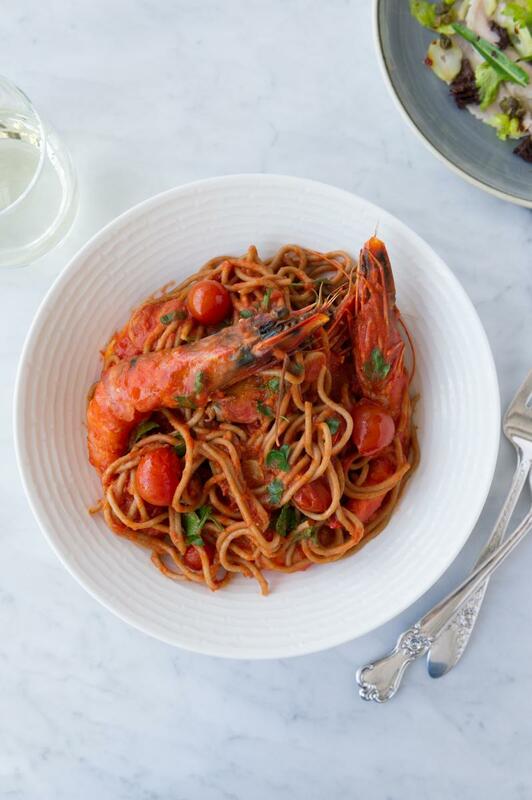 Whether you try one of their stuffed pastas or any one of their handmade pastas, from garganelli to casoncelli, you'll be satisfied with everything that SRV has to offer. Amelia’s Trattoria is a cozy, pleasant restaurant tucked into Cambridge’s ever-growing Kendall Square. A small wooden bar welcomes you, before opening into the restaurant. It is an inviting white-tablecloth-type environment, without the stuffiness that can be associated with more buttoned-up restaurants. The owner, Delio Susi who works alongside his wife Rebecca, was raised by a single mother who inspired his love of cooking. He would persistently ask his mom if he could help in the kitchen. When she finally gave in and said yes, she handed him the tedious task of deshelling shrimp. He helped her in the kitchen from then on. His mother was also passionate about his education which led him to his other love, architecture. But, the culinary world did not let go of Susi . Both passions are apparent throughout the festive, homey atmosphere. Susi’s food is influenced by his family’s region of Abruzzo, specifically Sulmona, Italy. The mandolin he uses to make his pasta has been in his family for 80 years. The pasta dough is placed on top of the mandolin, and a rolling pin is gently guided across the top before the pasta drops into the tray below. 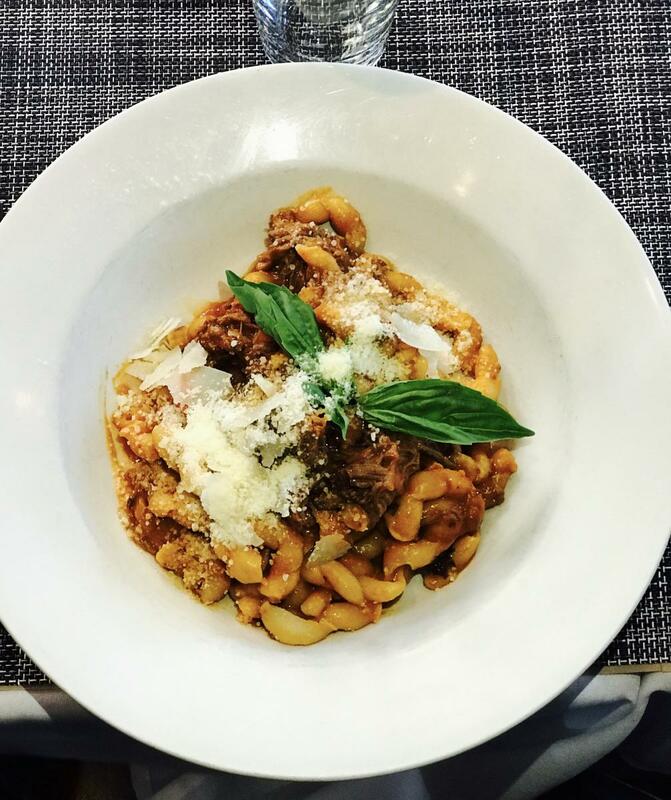 A popular dish at Amelia’s is Susi’s bolognese with a modern twist: short ribs. The short ribs happened by accident and has now become a staple item on the menu. The meat is cooked for 6 hours, the juice is then pureed and becomes the base of the bolognese sauce, paired with fusilli. Another signature dish of Susi’s is his gnocchi. The gnocchi, made more than any other pasta on the menu, is cooked and served in brown butter which tricks your taste buds into thinking the dish is made with cinnamon. Susi and Rebecca now own two restaurants, Amelia’s Trattoria and, recently opened, Sulmona. The two restaurants share kitchen spaces as needed and you will often see similar ingredients on the menu, although different dish variations. With Susi’s culinary skills and Rebecca’s ability to hold the business together, this is definitely a place you don’t want to miss. One of the biggest things that keeps people coming back again and again to Bottega Fiorentina, besides the delicious food, is its sense of family. Andrea Ferrini, who owns Bottega Fiorentina says, “We know everybody and everybody knows us. People call me by my name and I call them by theirs.” As the seasons come and go, Bottega remains just as popular as it always has since it opened in 1994. Ferrini started out as a jeweler who woke up one day and decided he had enough. “I am a chef by being self-taught, not by going to school.” His food is influenced by his hometown of Florence, and on any given day you can choose from 18 of his 30 sauces. 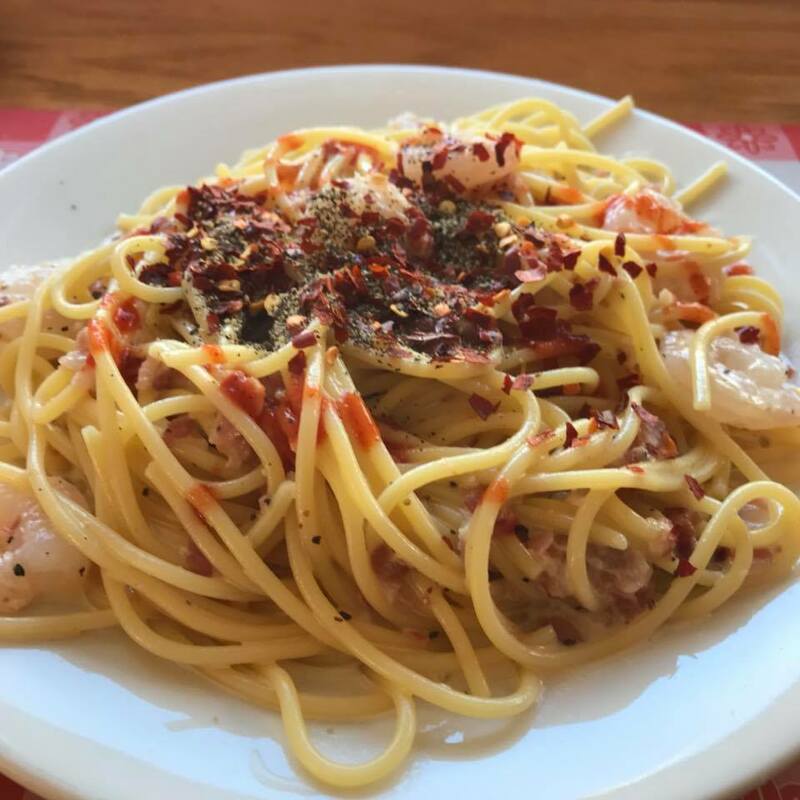 His favorite dish, the Fedora, named after his mother, is made with tomatoes, garlic, rosemary, and cream with a choice of any of his homemade pastas. He creates his dishes to be lighter to highlight the filling in his ravioli’s, or taste the ingredients in his gnocchi. In Ferrini’s gnocchi special, Gnudi Burro e Salvia (gnudi meaning naked), the gnocchi, made with spinach, ricotta cheese, and flour, is rich green in color. If you are unsure of what to order, Ferrini is more than happy to steer you in the right direction. Beloved by his loyal clientele, sitting in Coolidge Corner in Brookline, you’ll want to make sure to hop off the MBTA and grab a delicious bite to eat. Walking into Sportello, owned by renowned Chef Barbara Lynch, the lighting is warm and welcoming. Set in the Seaport area of Boston, the restaurant is set up like a diner, the point being that, like an Italian family, everyone is dining together. It’s a place where talking to the person next to you is encouraged and always feels comfortable. There is a sense of community. Director of Strategic Communications Kate Gardiner says, “one of the things that I feel we have in our back pocket, is how the layout is a little disarming, but people really get into it.” Due to Barbara Lynch’s reach and influence, you can see a wide array of people dining on any given day at any given time. The pasta is prepared all day, every day, by people specifically hired for that job alone. The menu ranges in flavor from a rich bolognese with tagliatelle, to a lighter braised rabbit dish with strozzapreti. 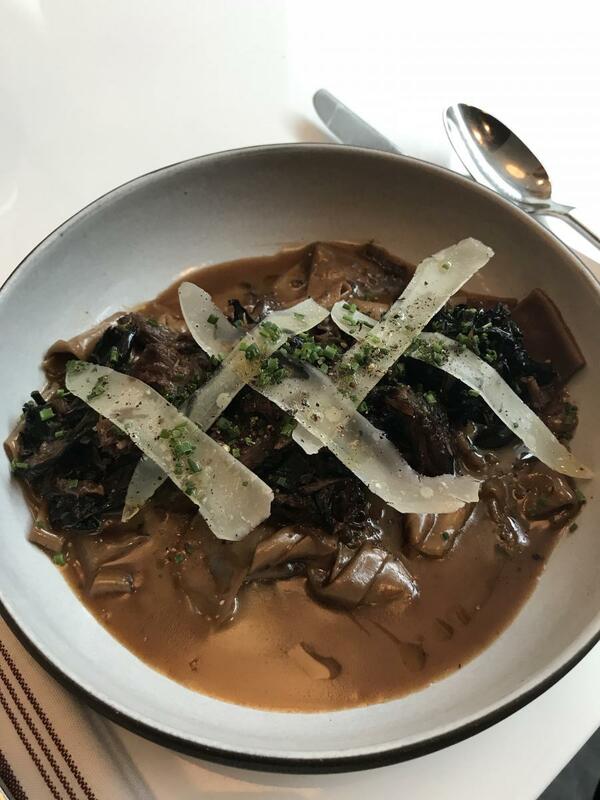 One of the most popular dishes, and one that is the most recommended to try, is their black garlic pappardelle: black garlic is mixed right into the noodles, so the pasta becomes light brown in color. Chef Kunal, the Chef de Cuisine at Sportello, uses fresh ingredients to create simple, flavorful dishes, “Food is really good by itself, once you start to overthink your ingredients, you really need to check in with yourself.” Which is exactly what he does. Pulling from traditional Italian ways of cooking, he uses olive oil instead of butter. This makes the dishes lighter, enhancing the natural flavors rather than covering them. Additionally, by using seasonal ingredients, ranging from asparagus to truffles, diners are able to enjoy seasonal dishes exclusive to Sportello. With their extensive wine program, run by Cat Silirie, and their ability to play up natural flavors, Sportello should be on everyone’s list of places to try. Once you go, you will walk away already planning your next visit. Owner of Fiorella’s Express, Remon Karian, was born into food, it was ingrained in him from the beginning. His father owned a pizza shop in Belmont, MA and Karian started working with him at a young age. Business piqued his interest in college, but there was something about restaurants that brought him back. He applied everything he learned in business school and opened his first restaurant, Fiorella’s Cucina, in Newton in 2000. Since then things have expanded. Fiorella’s Cucina has two locations in Newton and Concord, MA. Fiorella’s Express is located in Brighton, Cambridge, and Belmont, MA. The original Belmont location is where his love for food started, his dad’s old pizza shop. Cooked in their wood burning brick oven, one of the most popular dishes on the menu is the chicken parmigiana served with linguini. Fiorella’s sauce has become so popular, that you are now able to purchase it and bring it home for your own enjoyment. The lemon chicken served with artichoke hearts and a lemon white wine sauce served over penne is another popular item on the menu. The chicken fra diavolo, served with gnocchi, packs a surprise with its spicy marinara sauce. No matter where you are in the city, any of the Fiorella’s locations has something special to offer.